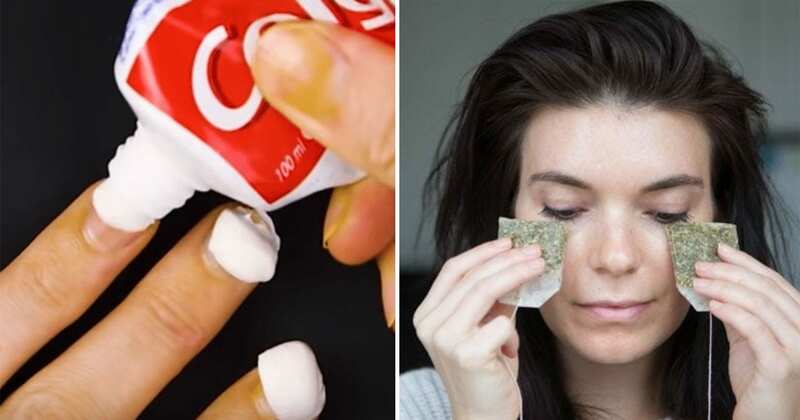 We’ve collected 60 of the best lazy beauty hacks out there. 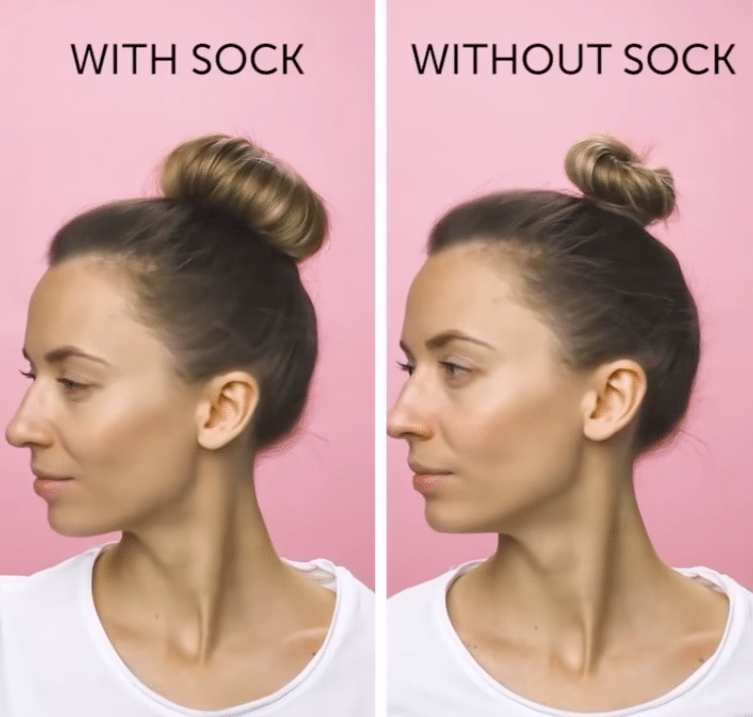 Whether you’re looking for a way to quickly do your makeup or easily style your hair, there’s a hack here for you. 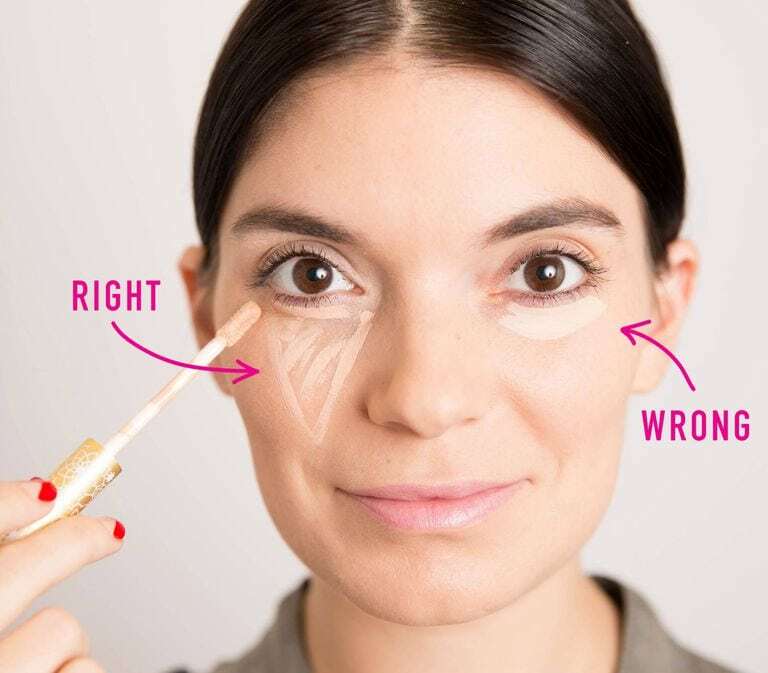 These hacks will make putting your makeup on in the morning a breeze! Tired of your perfume’s scent fading too quickly? Put a bit of Vaseline on your pulse points before you spray your perfume. The Vaseline will help the scent stick to your skin for much longer periods of time. With this easy trick, your perfume will last all day long. If you have oily skin, you may think that it’s best not to use moisturizer. But not using moisturizer will actually make your skin oilier. To keep your skin hydrated and beautiful, apply a mixture of apple cider vinegar and water before you put on your moisturizer. The vinegar will balance your skin’s pH levels, preventing it from producing more oil. If you want your hair to look thicker, there’s an easy way to do this. Simply dust eyeshadow that’s the same color as your hair along your part. If you don’t usually part your hair, you can also dust eyeshadow along your hairline to make it look thicker. If your lips tend to get chapped during the dry months of the year, try making a simple and all-natural lip balm. To make this lip balm, mix a tablespoon of honey, a tablespoon of olive oil, and a tablespoon of sugar in a bowl. Stir the ingredients together well, and then massage the lip balm into your lips for about two minutes. Afterward, wipe the lip balm off with a cloth. You’ll be left with hydrated and soft lips! 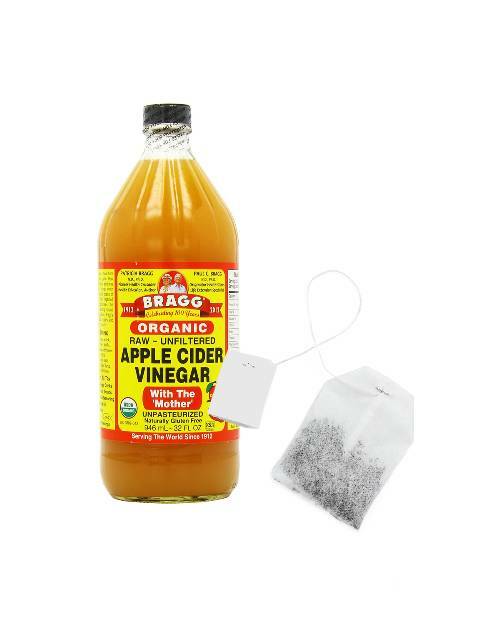 If your skin feels irritated after shaving, use a black tea and apple cider vinegar mixture to soothe it. 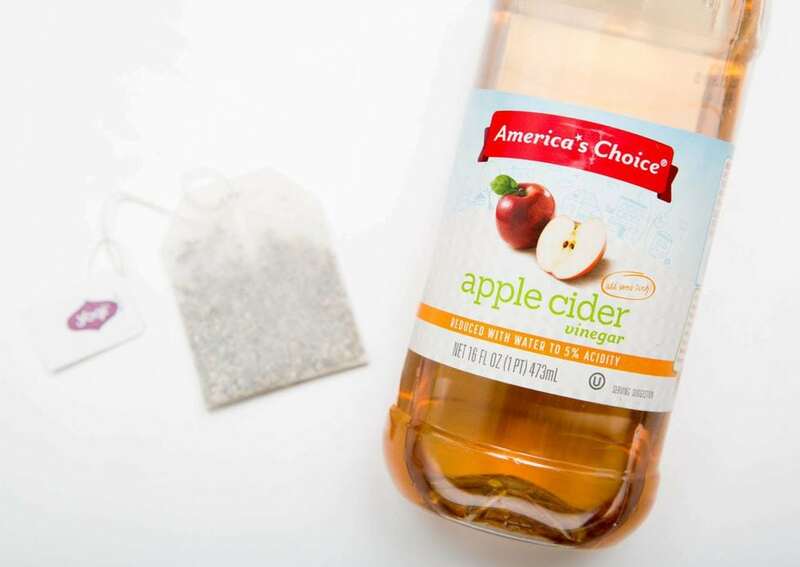 Apple cider vinegar contains anti-inflammatory properties, and black tea has tannic acid that will reduce redness and irritation. To make this remedy, first dab a cotton ball into a mixture of apple cider vinegar and water. Rub the apple cider vinegar onto the irritated area. Then, soak a black tea bag in hot water for around ten minutes. Let the black tea bag cool, and then massage it into the affected area. Are you looking for an easy way to organize your makeup brushes? 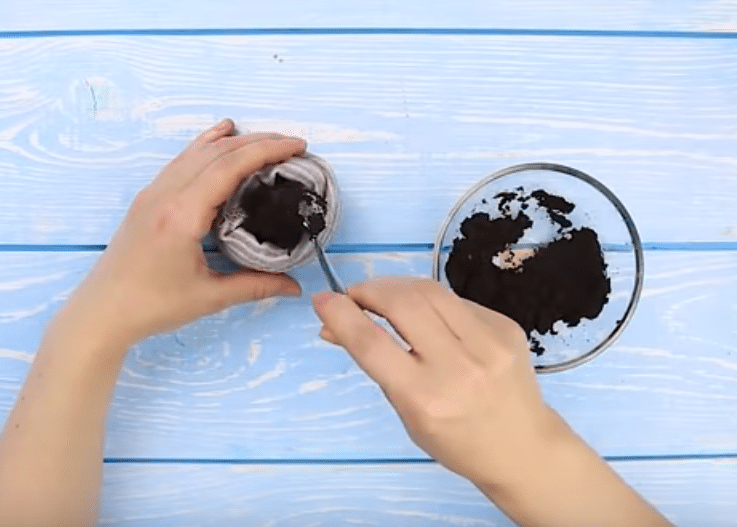 Make your own brush holder using coffee beans! 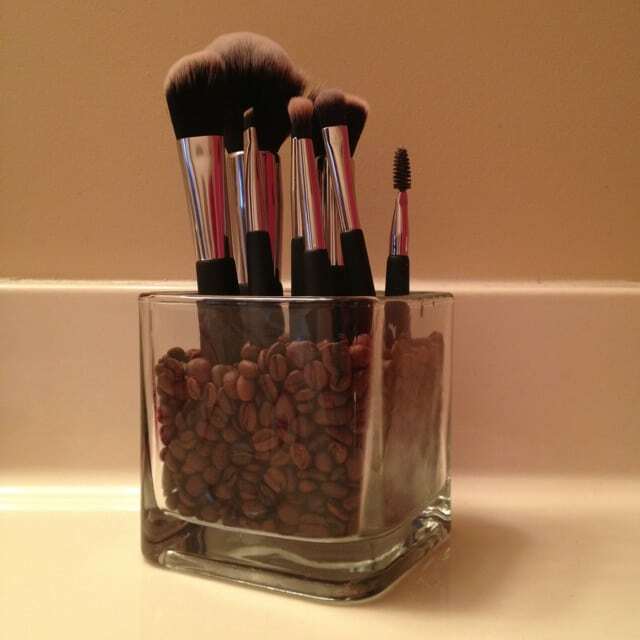 Place coffee beans in a glass container, and then stick the makeup brushes inside. The coffee beans will hold the makeup brushes in place, creating an organized look. To easily conceal dark circles, draw triangles under your eyes with your concealer. Drawing triangles with your concealer will also help light up your face. This easy trick will help lift your face up and hide dark circles. If you notice a scuff in your suede shoes, a nail file will get it out. Use the nail file to buff your shoes, and the stain will quickly disappear. This easy trick will make your suede shoes look good as new! 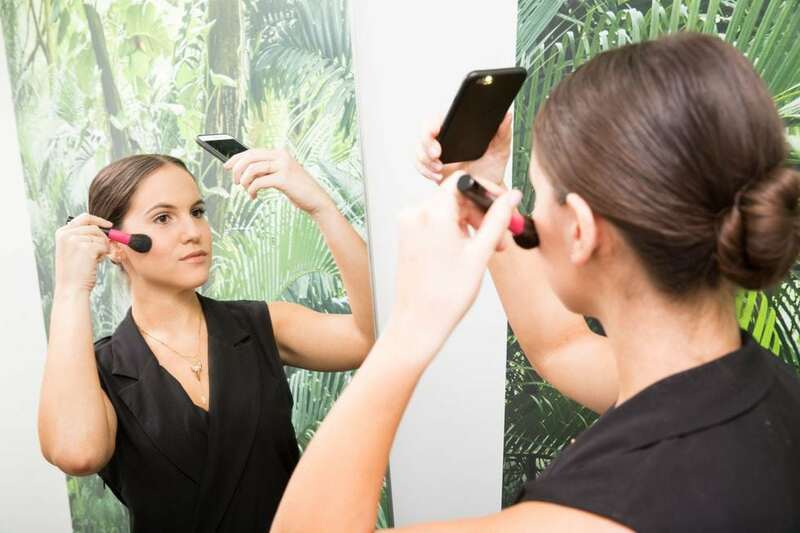 Looking for an easy way to contour your face? Simply apply your bronzer in a ‘3’ shape over your jawline, cheekbones, and forehead. When you use this simple trick, you’ll be able to contour your face in no time! If you notice excessive oil on your forehead, grab a toilet seat cover. 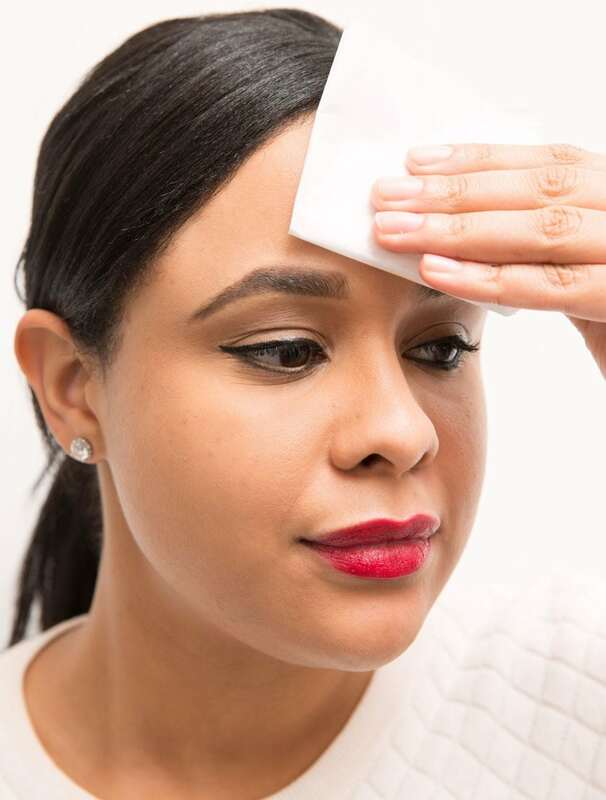 It may sound strange, but a toilet seat cover is actually great for blotting out oil in your t-zone. A simple toilet seat cover is a great choice for anyone who quickly needs to blot out oil. When you heat up your eyelash curler, you’ll be able to easily get a great curl on your lashes! 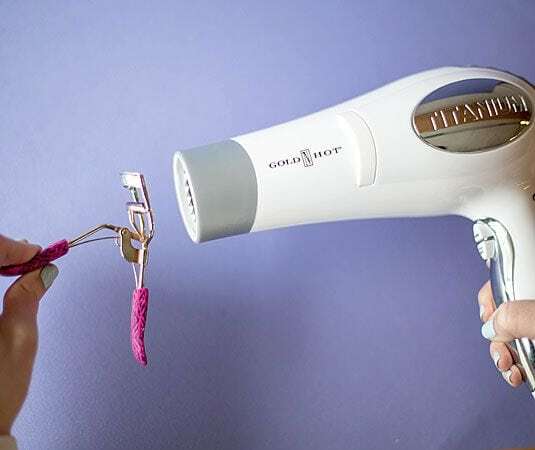 Hold your eyelash curler in front of your hair dryer until the eyelash curler feels hot to the touch. Let the eyelash curler cool down a little bit so you don’t burn your eyelids, and then clamp down on your eyelashes and curl them up. 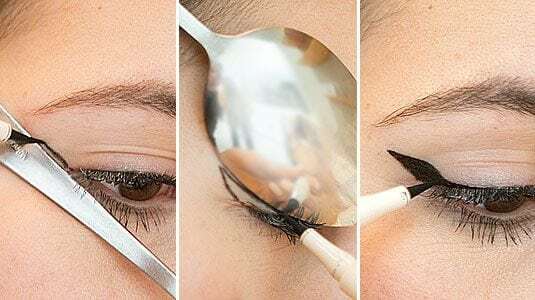 This easy beauty hack will give you beautiful lashes! The chlorine in a swimming pool can wreak havoc on your hair. 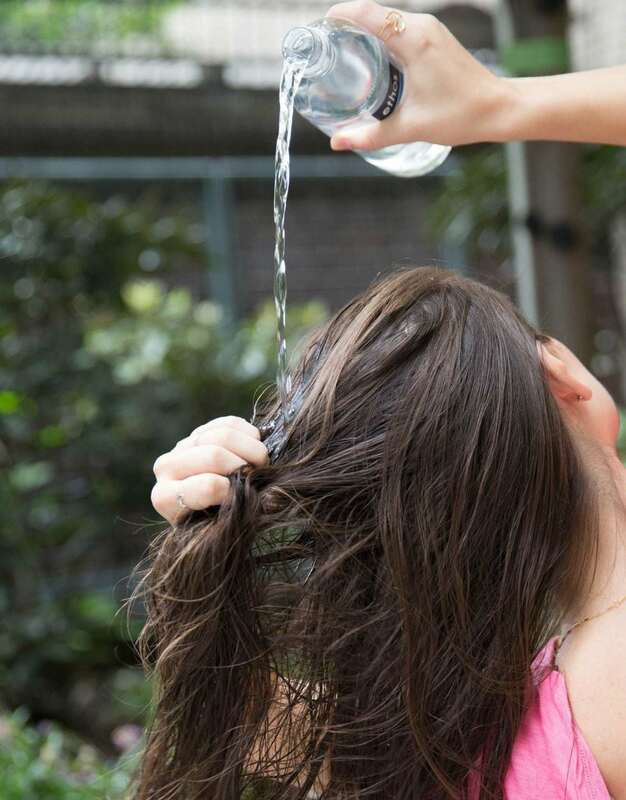 To protect your hair from the chlorine, rinse your hair with tap water before you go swimming. Your hair will absorb the tap water, which will prevent the chlorinated water from damaging your hair. Have your feet been feeling dry lately? 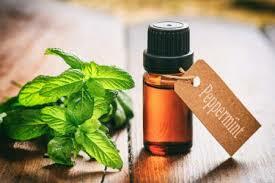 Use peppermint moisturizer to create the perfect foot treatment. Apply the moisturizer to your feet, and then put on some of your favorite cushioned socks. Head to bed, and in the morning, you’ll wake up with smooth and soft feet! Smokey eye is a great look for going out, but you may feel like it’s going to take too much effort to do it. Luckily, there’s an easy way to quickly get a smokey eye: use eyeliner instead of eyeshadow! Place eyeliner on your finger, and quickly swipe the eyeliner along both the top and bottom of your eyelash line. You’re sure to receive tons of compliments on this easy makeup look! Tired of having to redo your perfume every few hours? If you spritz your perfume in a few strategic places, it will last all day. Spritz the perfume on your hair, behind your ears, inside your elbows, in your belly button, and behind your knees. It may sound strange to spritz perfume behind your knees, but just give it a try—you’ll be amazed to see how long your favorite perfume scent lasts! If your nails are feeling brittle, try strengthening them with toothpaste. Toothpaste has the same benefits for your nails as it does for your teeth—it will strengthen your nails, and it will also whiten them. Plus, toothpaste will speed up nail growth. Rub toothpaste onto your nails once a day for about a week, and you’ll see a dramatic change in your nail health. If you don’t have a lot of time to wait for your nail polish to dry, try soaking them in ice-cold water for a few minutes. It may seem odd to put your freshly painted nails in water, but the cold water will actually help set the paint, and it will dry them faster. 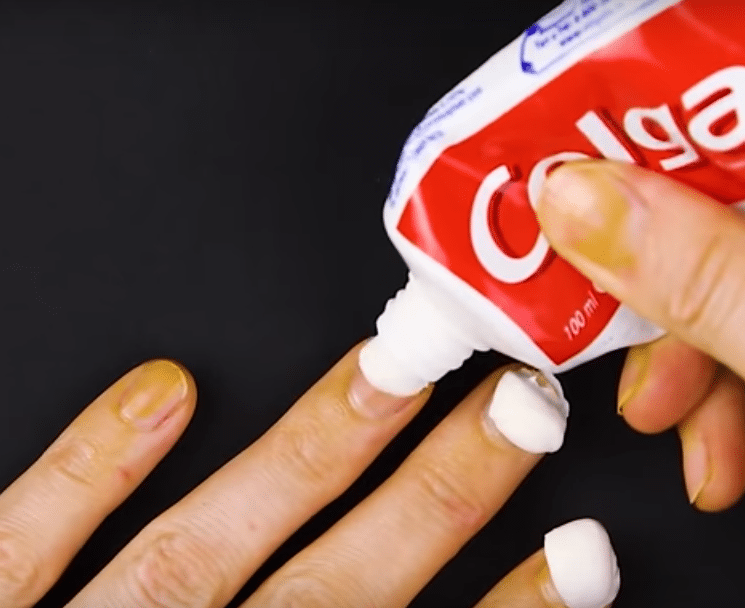 You’ll be amazed to see how quickly your nails dry with this beauty hack. 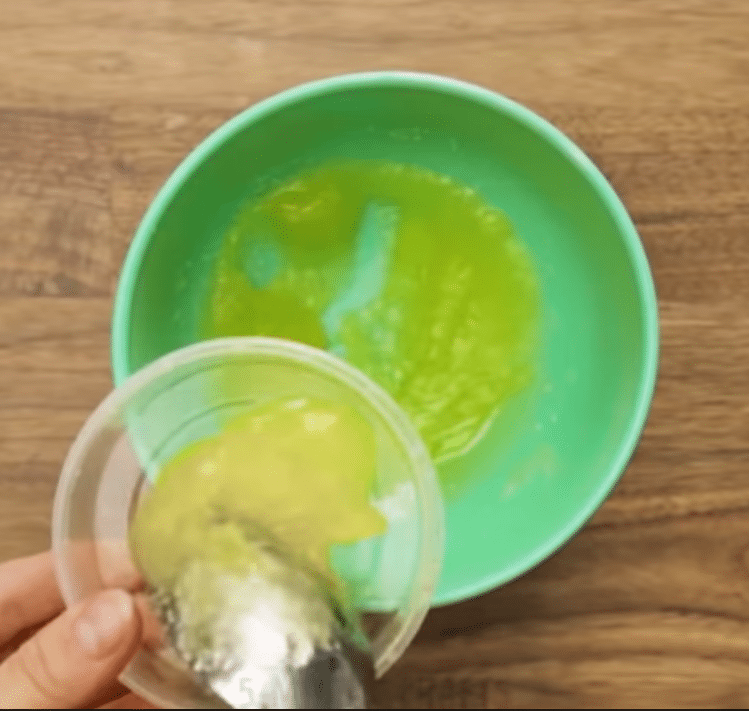 If you want to quickly remove blackheads, try making a mask using gelatin. To make the mask, mix a tablespoon of gelatin with a tablespoon of milk. Stir the two ingredients together, and then microwave for about a minute. After the mixture cools down, apply it to your problem areas with a makeup brush. Leave the gelatin on for about a minute, and then pull it off. Your skin should look much clearer after using this mask! 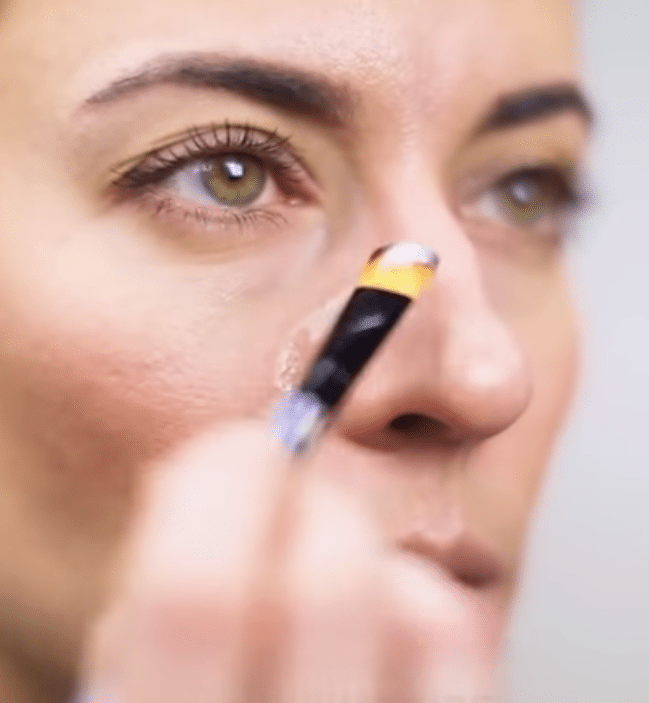 Want to quickly test how your makeup will look in a wide variety of lightings? Use your phone’s flashlight! If you apply your makeup in a room that has overhead lighting, the lighting can cast shadows on your face, completely changing how your makeup looks. If you shine your phone’s flashlight on your face while you’re doing your makeup, you’ll get a much better idea of how your makeup will look in different lighting. If you have blonde hair, you may worry that your hair is going to turn green if you go swimmin. To prevent this from happening, rinse your hair out with baking soda after your swim. Mix baking soda with a bit of water, and then stir until the mixture forms a paste. 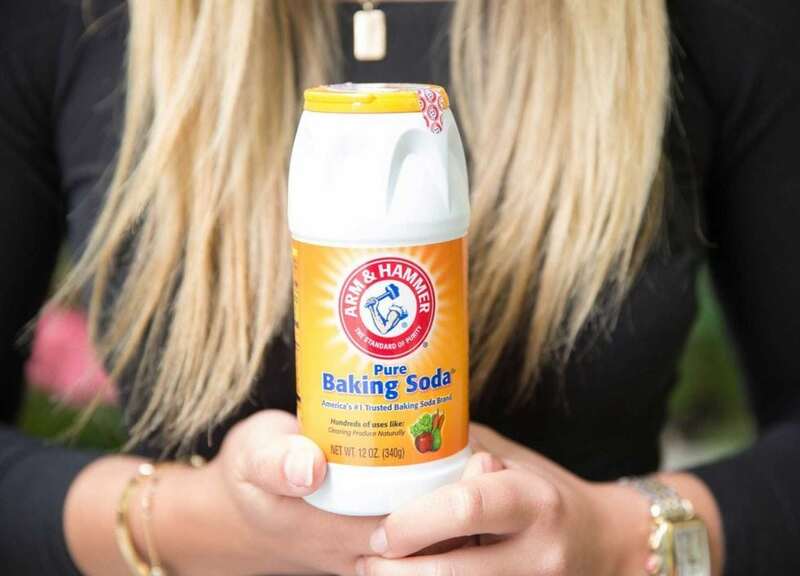 Rub the baking soda paste into your hair, and let it sit for a minute. Then, rinse the baking soda out and wash your hair with clarifying shampoo. Want to save tons of time in the morning? Dry your hair with a t-shirt instead of a towel! A cotton t-shirt is much more absorbent than a towel, and because of that, it will dry your hair much faster. It will also prevent your hair from getting frizzy. If you often find yourself rushing in the morning, try this trick—you’ll be shocked to see how much time you save. Noticed a lot of fuzz on your favorite sweater? Use a simple comb to get it out! Run the comb through your sweater a few times, and the fuzz should come right out. 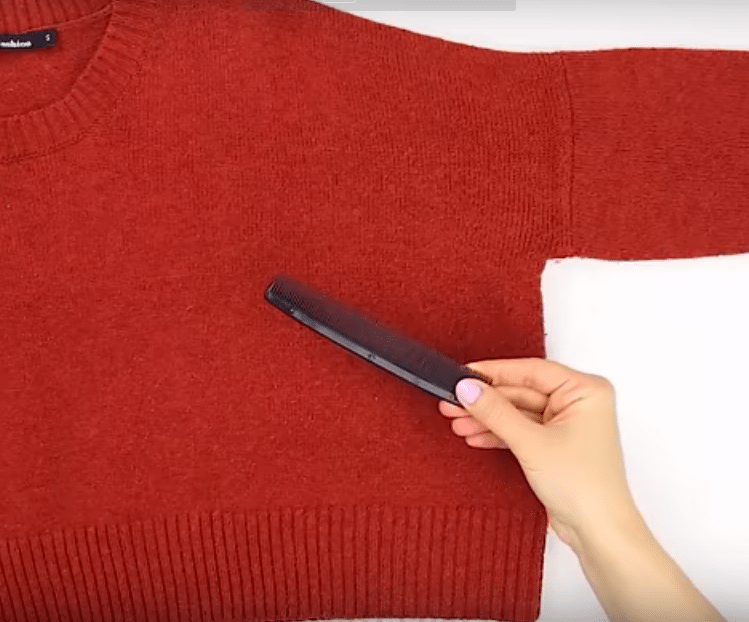 This easy trick will only take a minute or two, and it will make your sweaters look like they’re brand new. If you’re struggling to get your low bun looking just right, try putting your hair in pigtails before you make your bun. Tie the pigtails as close together as you possibly can, and try to position them in the middle of the back of your head. Then, wrap the ends of the pigtails together until you’ve created a bun. 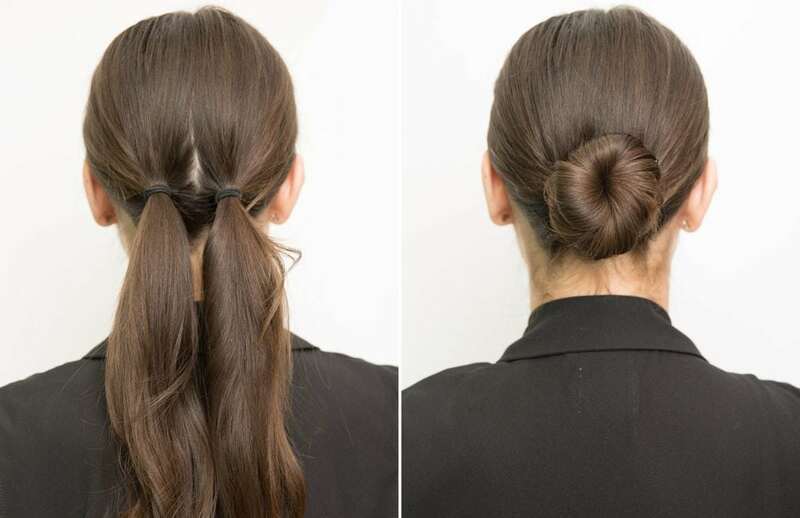 Secure your beautiful bun with bobby pins. Looking for a way to easily plump up your lips? A little peppermint oil will do the trick! Place a few drops into your favorite lip gloss, and then apply. 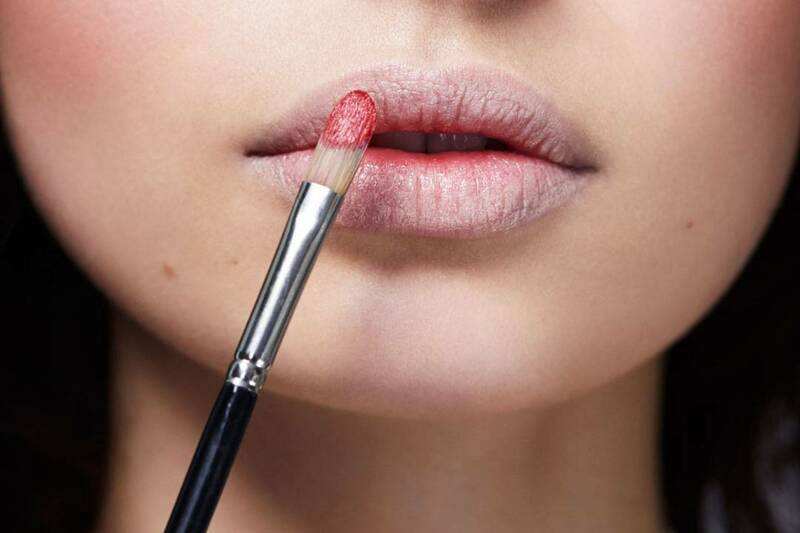 Just like that, you’ll have beautiful, plumper-looking lips. If you’ve noticed a foundation stain on the collar of your favorite shirt, don’t fret. A little shaving cream will get that stain right out! Place a dollop of shaving cream on your finger, and then rub it into the stain. Then, wash your shirt like normal. When the shirt comes out of the wash, it should be stain-free. If you need to polish your shoes but don’t have any shoe polisher on hand, try using coffee grounds instead. Mix the coffee grounds with a bit of water, and then place the mixture in a sock. Polish your shoes with the toe portion of the sock, and watch the coffee grounds work their magic! If you’d like to get a little more of a matte finish to your glossy nail polish, add a bit of cornstarch to your nail polish. 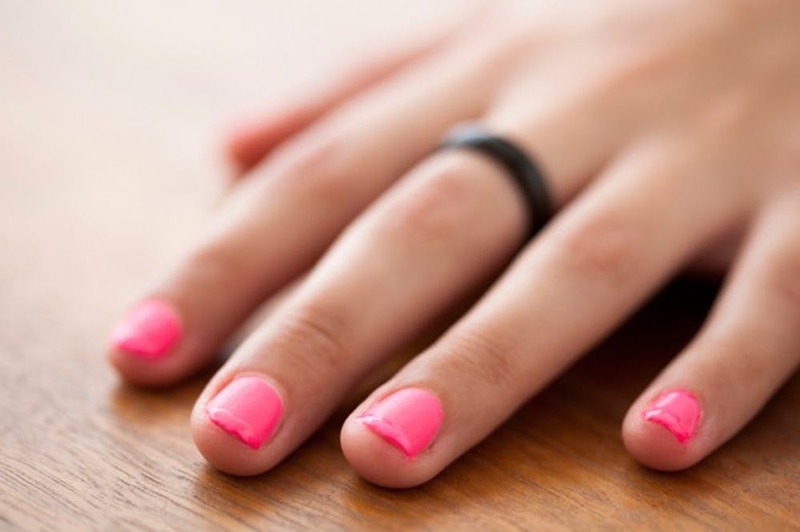 This simple trick will leave you with beautiful nails that you’re sure to love. 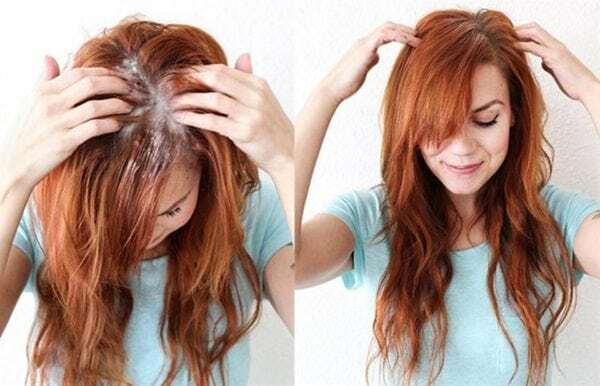 If you notice that your roots are starting to get greasy, try sprinkling baby powder on them. Many hair stylists swear by this easy trick, and once you try it, you’ll see why! The baby powder will absorb the grease, leaving you with beautiful, shining hair. Looking for a way to easily make your eyes pop? Place white eyeliner right above and below your brow line. Then, smudge out the eyeliner with a sponge. 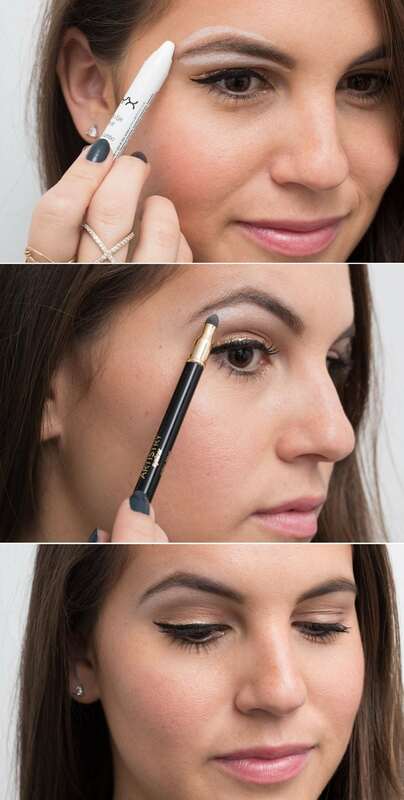 Doing this will define your brows, and it will instantly give you a beautiful eye lift. 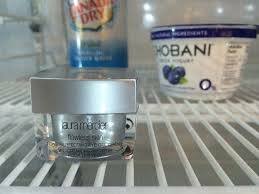 If you want to easily fight puffy eyes, all you have to do is keep your eye lotion in the fridge. The cool lotion will soothe your skin, and it can also reduce inflammation in the area below your eyes. When you use cool lotion, your skin will look and feel great. When mascara starts to dry out, it will get clumpy and flaky. 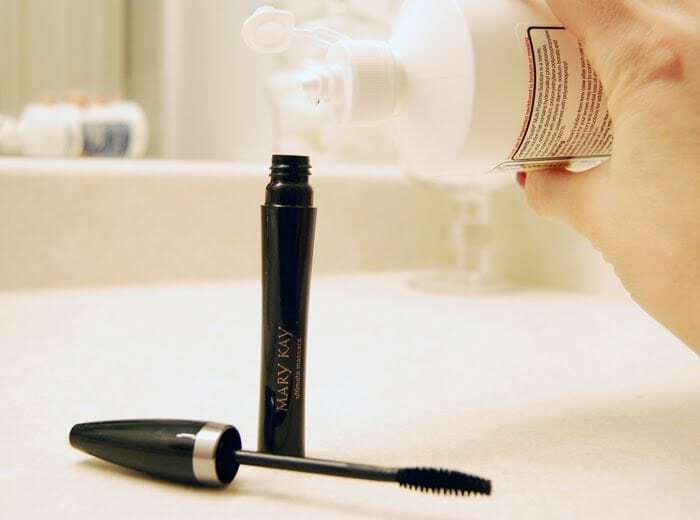 If you’re looking for a way to make your mascara last longer, simply put in a few drops of saline solution. However, if you’ve had your mascara for more than three months, it’s best to toss it. Mascara that’s more than three months old can collect bacteria that could give you an eye infection. Want to create beautiful nail art in no time at all? Use a bandage with little holes as a stencil. First, paint the base color on your nails. 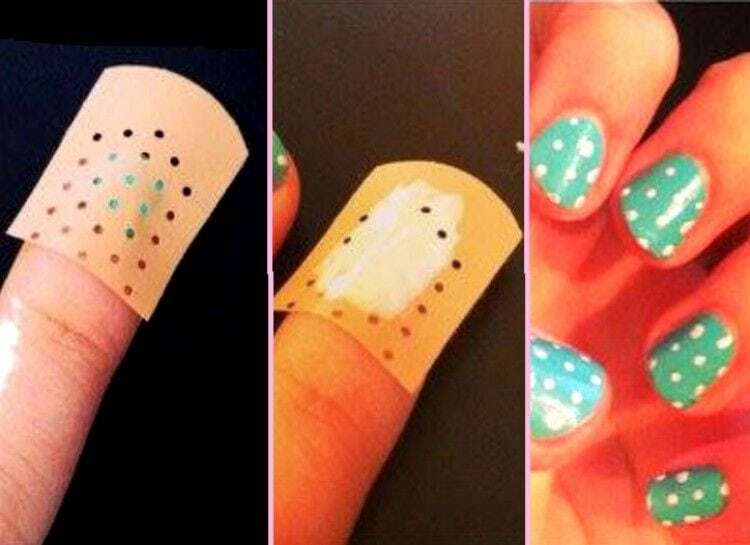 Let your nails dry, and then cover them in the bandages. Paint dots through the holes, and then peel the bandages away. You’ll be left with adorable polka dot nails! If you buy a foundation that’s too dark for your skin, don’t fret. Use a bit of moisturizer to lighten it up. Put in a few drops of moisturizer in the foundation, and then stir. Test the foundation out, and if it’s still too dark, add a little more moisturizer. 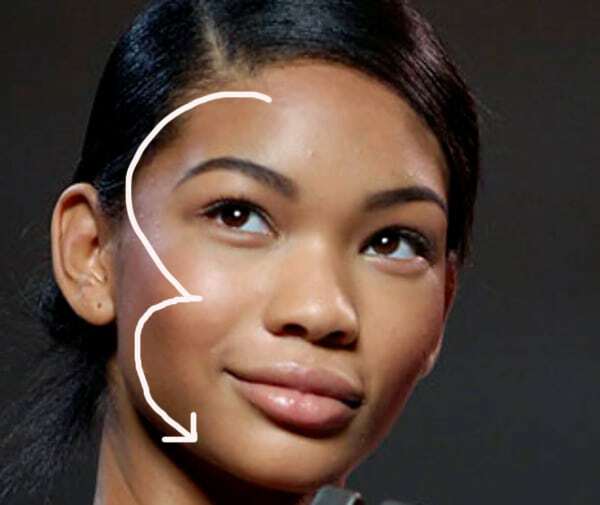 Keep adding moisturizer until your foundation perfectly matches your skin tone. 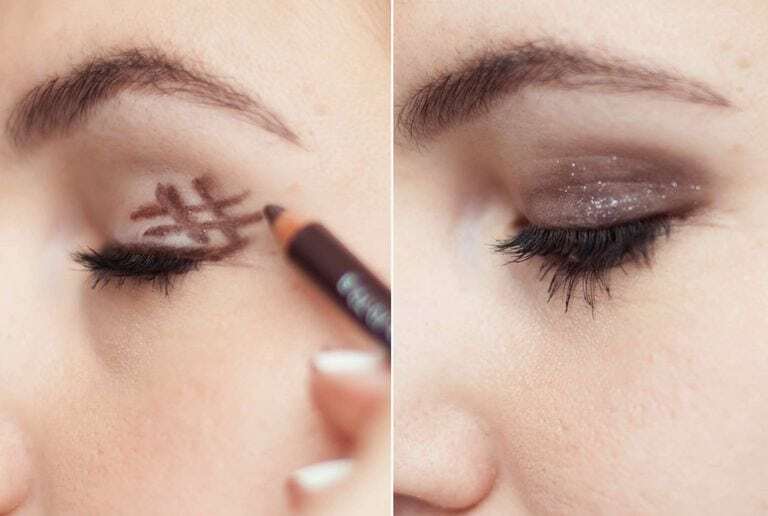 If you’re looking for another easy way to create a gorgeous smokey eye look, try drawing a hashtag on the outer corner of your eyelid. Smudge the hashtag with your sponge, and then draw another hashtag. Continue drawing and smudging hashtags until your eyes have the perfect smokey look. If you want to get a matte look on her lips but you only have glossy lipstick on hand, simply put concealer on your lips before you apply the lipstick. The concealer will give you a beautiful matte finish. Plus, as a bonus, your lipstick will only last longer when you use concealer first. Green tea is a great low-cost, easy way to reduce puffiness around your eyes. Steep the green tea bags in hot water, and then put them in the fridge to cool. Once they’re cool, hold the bags under your eyes for around five minutes. The caffeine in the green tea will help tighten up the skin under your eyes.